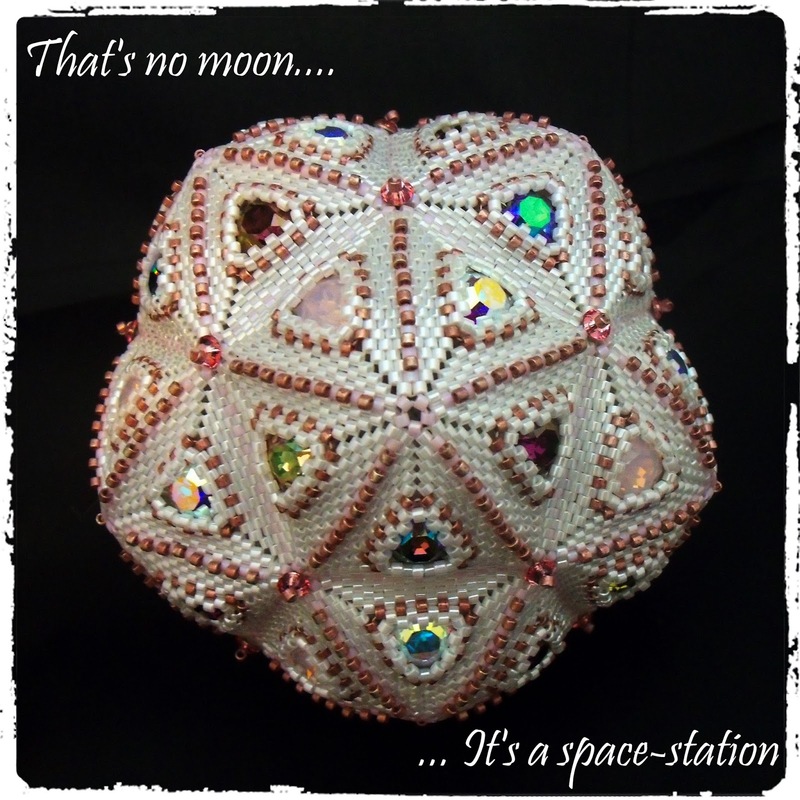 Beads By Becs - Mrs Picklefish Designs: That's no moon.... it's a space station! 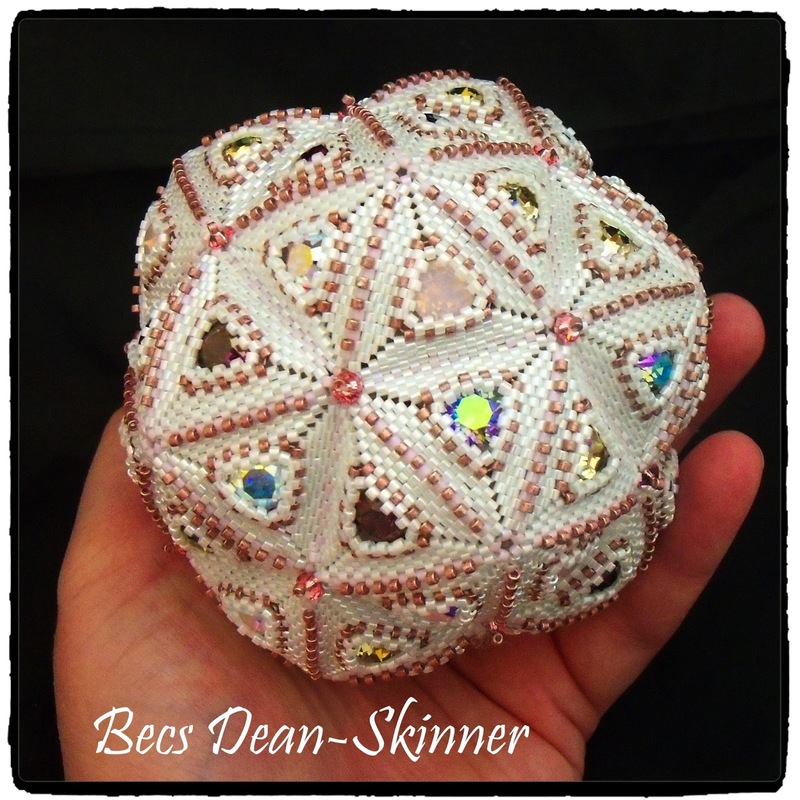 Making the triangles is easy enough (if you can cope with the repetition), its when you have to start fitting the last ones into the structure to zip it up that it gets fiddly! 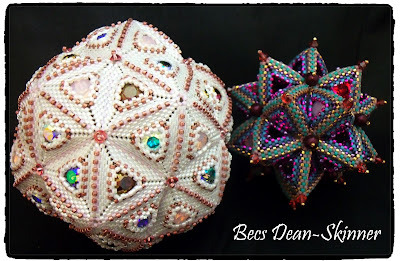 Agree with Jeanne - fab structures - lots of weaving ends in! Oh yes! A lot of ends! I think I got through two reels of KO on this one.